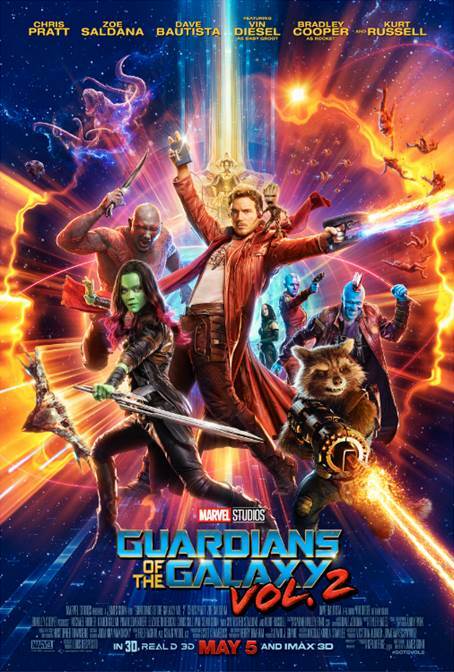 I can still vividly remember when I saw the first Guardians of the Galaxy movie at the theater. We don't do a lot of theater movies, but we did do this one and boy was I glad we did. It was awesome, so much so as soon as it hit the shelves we went out and bought the DVD and watched it again. So as I'm sure you can imagine I was super excited when I first heard about the second movie coming out! And to top it off it's only four days after my birthday so I know what I'm going to ask for. Check out this awesome trailer and tell me what you think..it looks awesome right? When it comes to action movies, I like movies like this, with a lot of humor. I bet this will be a good one.